So you have acquired a salvage vehicle, and you want to make sure you have all the legal bases covered as far as titling and insurance goes. But how do you go about insuring it? 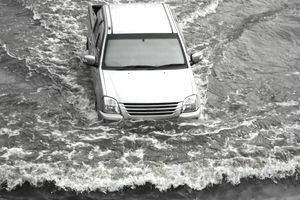 Below are some tips for insuring a salvage vehicle in New Jersey to make the process as smooth as possible. First of all, what is a salvage vehicle, and how does it differ from other vehicles? Simply put, if a vehicle has been damaged in a severe manner, such as a wreck, fire, flooding, or extreme vandalism, it is considered a salvage vehicle. If it would cost 75 percent of the original amount of the vehicle to repair it, then the vehicle is salvage and will have to have what is known as a salvage or junk title. To decide if you have what qualifies as a salvage vehicle, New Jersey has a salvage vehicle statute you can read online. Trying to hide the fact that a vehicle has been damaged and is salvage material is against the law. Due to Hurricane Sandy, New Jersey now has a database that tracks vehicles damaged during the hurricane. Some people obtain salvage vehicles in hopes of repairing them so they can eventually turn around and resell them. Salvage vehicles with a title will have the term "salvage" noted on the title so it is clear the vehicle is not the same as a regularly titled vehicle. You can expect that some insurance companies will not want to insure the vehicle, and for good reason. However, in many cases, if you are able to prove the salvaged vehicle is safe for the road and you also have a certificate of inspection, many insurance companies will allow you to insure it. Just be sure you realize you will probably not be able to get a top-notch, first-rate policy on the vehicle due to its less-than-favorable history. In fact, if you are able to get insurance on a salvage vehicle, it will probably be only liability insurance. The company has no way of knowing how prior damage may affect the viability of the vehicle should it be involved in an accident. Most salvage vehicles are torn down and used for parts but are generally seen as unacceptable for regular transportation. Owning a salvage vehicle to use for transportation is seen as a gamble by insurance companies. When you approach insurance companies about insuring a salvage vehicle, your best bet is to contact larger companies that have a track record of approving that type of coverage. Some companies that have been known to offer insurance on salvage vehicles include State Farm, Geico, Progressive, and Farmers Insurance. There may be many others, including local insurance companies throughout New Jersey, but these are a few well-known companies you can contact for information and leads. As you can see, it may not be particularly easy to register a salvage vehicle in New Jersey, but it is not impossible. Be aware of the laws governing salvage vehicles, obtain the proper paperwork, and follow the rules regarding titles and insurance to avoid any unintended penalties. Finally, if you do insure and title a salvage vehicle for road use, be sure you have taken all the steps required to ensure the safety of any passengers who will be traveling in the vehicle. Severely damaged vehicles can pose special risks, so it is essential to guarantee all repairs done on a salvage vehicle are completed in a thorough manner and by an experienced automotive repair professional.